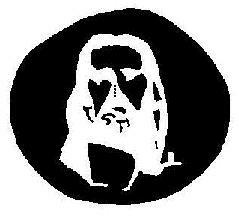 Almost immediately after closing eyes and tilting head back you will see a white circle appear in your mind, in this circle you will see image of Jesus in a white robe. In image you will see hair color, skin color and full facial features of Jesus that is not seen in the black and white picture above! After following instructions... if you don't see anything ... don't give up ... because you may be trying too hard ... some have to try it 2 or 3 times before seeing what picture reveals.